A considerable chunk of open world will be ready for exploration, and it seems that the devs will be including a few different environment types to keep things fresh and exciting during the Alpha. This includes a day/night cycle and multiple paths to give players more options and variety. Skill building and multiple classes of weapons and armor will be available at launch, with more being added monthly. First main quests will be playable as well as randomized dungeons with additional story content coming in future patches. Think “episodic”. Features that won’t be present include crafting, housing, and dungeon challenges, and it’s likely that the game will launch without achievements and trading cards as many Early Access games do. No price has been set quite yet, but it sounds like this is going to be a surprisingly content-packed Early Access build, and if the game’s astounding level of polish is still in-tact, it looks like this is going to be a big highlight of this year’s Early Access scene. For a little more info on Umbra, you can check it out and contribute to the ongoing fundraising campaign on their official website. 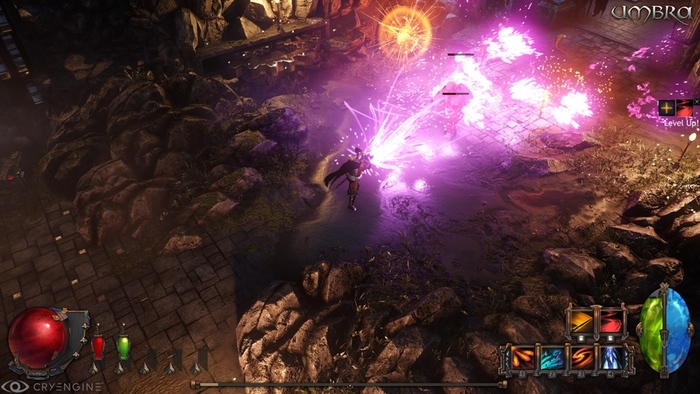 Look forward to the game’s Early Access alpha release via Steam on PC and Linux.